WHAT kills more than five times as many Americans as AIDS?Hospital infections, which account for an estimated 100,000 deaths every year.Yet the Centers for Disease Control and Prevention, which are calling for voluntary blood testing of all patients to stem the spread of AIDS, have chosen not to recommend a test that is essential to stop the spread of another killer sweeping through our nation’s hospitals: MRSA, or methicillin-resistant Staphylococcus aureus. The CDC guidelines to prevent hospital infections, released last month, conspicuously omit universal testing of patients for MRSAThat’s unfortunate. Research shows that the only way to prevent MRSA infections is to identify which patients bring the bacteria into the hospital. The MRSA test costs no more than the HIV test and is less invasive, a simple nasal or skin swab. Staph bacteria are the most prevalent infection-causing germs in most hospitals, and increasingly these infections cannot be cured with ordinary antibiotics. Sixty percent of staph infections are now drug resistant (that is, MRSA), up from 2 percent in 1974. Some people carry MRSA germs in their noses or on their skin without realizing it. The bacteria do not cause infection unless they get inside the body – usually via a catheter, a ventilator, or an incision or other open wound. Once admitted to a hospital, these patients shed the germs on bedrails, wheelchairs, stethoscopes and other surfaces, where MRSA can live for many hours. Doctors and other caregivers who lean over an MRSA-positive patient often pick up the germ on their hands, gloves or lab coats and carry it along to their next patient. The blood-pressure cuffs that nurses wrap around patients’ bare arms frequently carry live bacteria, including MRSA In a recent study at a French teaching hospital, 77 percent of blood-pressure cuffs wheeled from room to room were contaminated. Another study linked contaminated blood-pressure cuffs to several infected infants in the nursery at the University of Iowa hospital. A growing number of hospitals in the United States have proved that such precautions work here, too. Recently, a pilot program using screening at Presbyterian University Hospital, in Pittsburgh, reduced MRSA infections by 90 percent. At a Yale-affiliated hospital in New Haven, screening reduced MRSA infections in intensive care by two-thirds. And a recently completed nine-year study at the Brigham and Women’s Hospital, in Boston, found that screening led to a 75 percent drop in MRSA bloodstream infections among intensive-care patients and a 67 percent decline throughout the hospital. Some public health advocates recommend screening only “high-risk” patients – those who recently have been hospitalized, live in nursing homes or have kidney disease. Partial screening is somewhat effective, but universal screening prevents the most infections. Can hospitals afford to screen for MRSA? They cannot afford not to. Infections wipe out hospital profits. When a patient develops an infection and has to spend many additional weeks hospitalized, Medicare does not pay for most of that additional care. Treating hospital infections costs an estimated $30.5 billion a year in the United States. Prevention, on the other hand, is inexpensive and requires no capital outlays. A pilot program at the University of Pittsburgh found that screening tests, gowns and other precautions cost only $35,000 a year, and saved more than $800,000 a year in infection costs. A review of similar cost analyses, published in The Lancet in September, concluded that MRSA screening increases hospital profits – as it saves lives. Yet, for a decade, the CDC has rebuffed calls for screening, most recently from a committee of the Society for Healthcare Epidemiologists of America. CDC officials claim that more research is needed to prove the benefits of screening. More research cannot hurt, but we know enough already to move ahead. Some hospitals are leading the way, including Evanston Northwestern, in Illinois; the Veterans Affairs medical centers; New England Baptist Hospital, in Boston; and Johns Hopkins Hospital, in Baltimore. The CDC’s lax guidelines give many other hospitals an excuse to do too little. Every year of delay costs thousands of lives and billions of dollars. While there have been reports of outbreaks of MRSA (methicillin-resistant Staphylococcus aureus) in hospitals and medical facilities for decades, those who contracted the disease were often older people or people with significantly weakened immune systems, leaving many athletic facility operators with their own false sense of immunity. However, the affliction of three otherwise healthy players for the Tampa Bay Buccaneers this past fall, as well as five cases, including two student-athletes, reported in the Northville (Mich.) Public School District have shaken that mindset and have many athletic facility operators reevaluating their cleaning procedures. 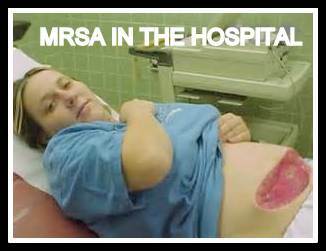 Treating people for MRSA is a tough job for the medical community. The infection is resistant to anywhere from 15 to 30 different antibiotics, limiting the number of treatment options available to doctors. According to the Centers for Disease Control and Prevention, between 1999 and 2005, the number of people hospitalized with MRSA more than doubled, and approximately 19,000 people die from MRSA-related illnesses annually. Because of this, schools, gyms and other athletic and fitness facilities are arming themselves, their staff members and their users with the awareness and knowledge to prevent the spread of the infection, encouraging proper hygiene and enhancing cleaning measures. What typically happens when there is a public health emergency or when facility managers are overly concerned about the potential spread of disease is that workers are directed to use large amounts of disinfectants for all of the facility's cleaning needs — a bad idea. Disinfectants can be potentially harmful to the person working with them, facility users and equipment, not to mention the environment. Rather, a cleaning protocol should be in place and vigilantly followed. Cleaning products should only be used as directed in areas where they are most needed, such as restrooms, counters, high-touch areas and gym equipment. In most cases, an effective all-purpose cleaner or a one-step cleaner/sanitizer will do the job. This will likely save on costs, as well. Special attention should be given to high-touch areas, including railings, vending machines, elevator controls and switch plates (if accessed by gym users). Gym equipment should be wiped down using sanitizers or disinfectants. Gym users have more direct contact with floors than may be realized and often have considerable indirect contact. An example of indirect contact can occur when a gym user's shoelaces drag across a contaminated locker room floor. Therefore, among the most important areas that facility operators specifically should ensure are "hygienically" cleaned are floors, sanitized using either chemicals or specific cleaning methods. For floor cleaning, owners and managers have two options: mopping floors or using spray-and-vac (also known as no-touch) cleaning equipment. Though mop-and-bucket cleaning seems like a no-brainer task to many, it's also one of the easiest cleaning procedures to do incorrectly. Mop buckets should be clean and washed with a sanitizer or disinfectant after every use. Mops should be changed on a regular basis, as should the solution in the mop bucket. Soiled mops and solution can spread the very contaminants being targeted for removal. Keeping these tools fresh and clean helps minimize contamination. The other cleaning option is spray-and-vac cleaning. With these no-touch systems, metered amounts of chemical are sprayed not only on floors, but also on all restroom surfaces. The same areas are rinsed and then the moisture, along with soils and contaminants, are vacuumed up with the built-in wet vac system, leaving the area dry. Several manufacturers now make this type of equipment; however, only a few have built-in vacuum systems. If the goal is to clean both for appearance and to protect health, then a built-in vacuum is necessary. Beyond facility components, athletic team equipment and gear should also be cleaned with care. Towels and other linens should be cleaned in a washing machine with hot water and bleach, if possible, and dried in a hot dryer. Athletic clothes should be washed following the same process after each use. Facility staff members should avoid handling dirty laundry as much as possible, and wear protective gloves while doing so. Equipment such as helmets and balls should also be cleaned on a routine basis according to manufacturer instructions. Changes to locker room design can help minimize the likelihood of transferring MRSA or other contaminants. Wherever possible, design should favor individual-use elements. For example, long, communal-use benches should be replaced with individual stools for each locker and user. The right materials can also make a difference. Phenolic lockers are becoming an increasingly popular choice for facilities due to their resistance to bacteria and ease of cleaning. Padded, absorbent materials should be avoided in all components, as they can be more difficult to clean and more likely to harbor bacteria. For the same reason, hard, nonporous floors hold an advantage over carpets. Design should also address the warm, wet conditions in which bacteria like MRSA thrive. Individual lockers — indeed, the entire locker room — should be well ventilated, allowing equipment, gear, towels and personal items to adequately dry. Hot tubs and steam rooms should be maintained in their optimal condition, and signage should remind users to shower before and after each use. If drainage-type floor mats are installed, they should be rolled up, cleaned, and then allowed to air dry. It is very important to actually remove the mat because it is the area under it that becomes a moist breeding ground for germs and bacteria. Some facilities have also experimented with the use of ultraviolet light to kill infection-causing contaminants. Ultraviolet light is used in a number of facilities, including food service and medical locations, to help disinfect surfaces as well as tools and equipment. For all the steps a facility can take to minimize the risk of exposing infection to its user, the single most effective way to stop the spread of MRSA is to encourage all facility users and staff to wash their hands frequently. Athletes should be encouraged to shower immediately after games or practices, washing thoroughly using soap and not sharing towels, razors or other personal supplies. Educate athletes and gym users not to use gym equipment and facilities if they have scrapes or cuts, on their hands or feet, and not to use the facilities at all if they noticed an unusual, undiagnosed staph or skin infection. Any open-skin areas, such as abrasions or cuts, should be covered with a clean, dry bandage until they are healed. Open wounds can spread infection and are more susceptible to becoming infected from contaminated surfaces. Of course, the risk of contracting an infection is not top-of-mind for most athletes in the locker room, and no amount of awareness or education will ensure proper hygiene habits. As such, it is imperative that facility operators do everything in their power to reduce the risk to users. Disinfectants vs. Sanitizers The difference between a disinfectant and a sanitizer is the kill rate. In the simplest terms, an EPA-registered disinfectant, when used properly, should kill all germs and bacteria on a surface within 10 minutes. However, read the product's label to ensure it will eliminate MRSA-related bacteria specifically. A sanitizer is designed to eliminate nearly all germs and bacteria on a surface. Read the label for specifics and use the product as instructed by the manufacturer. Shared equipment that comes into direct skin contact should be cleaned after each use and allowed to dry. Equipment, such as helmets and protective gear, should be cleaned according to the equipment manufacturer's instructions to make sure the cleaner will not harm the item. Athletic facilities such as locker rooms should always be kept clean whether or not MRSA infections have occurred among the athletes. Review cleaning procedures and schedules with the janitorial/environmental service staff. Cleaning procedures should focus on commonly touched surfaces and surfaces that come into direct contact with people's bare skin each day. There is a lack of evidence that large-scale use (e.g., spraying or fogging rooms or surfaces) of disinfectants will prevent MRSA infections more effectively than a more targeted approach of cleaning frequently touched surfaces. Repair or dispose of equipment and furniture with damaged surfaces that do not allow surfaces to be adequately cleaned. 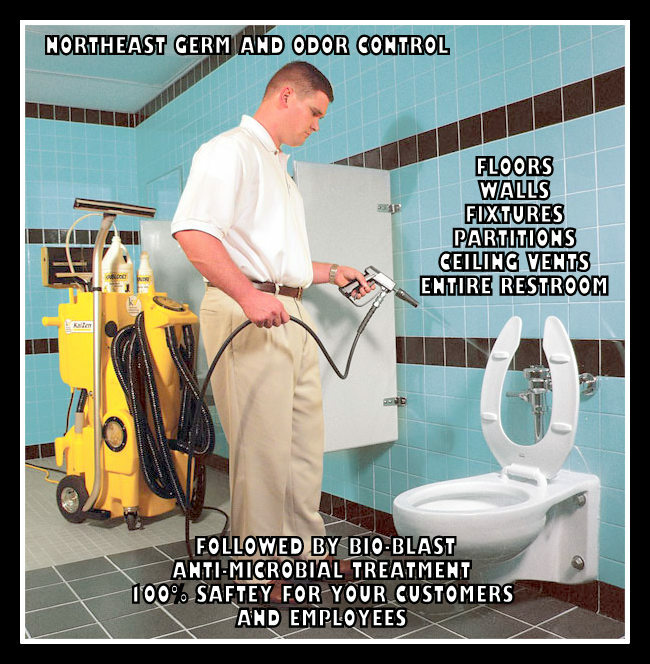 Covering infections will greatly reduce the risks of surfaces becoming contaminated with MRSA..
Let Northeast Germ And Odor Control handle this tough risk job for you . We can design a plan using the no touch cleaning system which will remove all germs from your facility, followed by a Bio-Blast treatment which will keep your facility germ free for 90 to 120 days. We also sanitize and Bio-Blast uniforms, helmets and gear call for details . Tags: Antibiotic Resistance, Bio-zone, Ozone Sanitizing, Antibiotic Resistant Bacteria, Antibiotic Resistant Staph, Bacterial Infection, CA-MRSA, CDC, Communicable Diseases, Community-Acquired MRSA, Complicated Skin and Soft Tissue Infections, Complications of MRSA, cSSTIs, Disease Prevention, Emerging Infection Diseases, Facts About MRSA, Flesh Eating Bacteria, HA-MRSA, Hand Washing, Healthcare-Acquired MRSA, Jorge Parada, Linezolid, Meningitis, Methicillin, Methicillin-resistant Staphylococcus aureus, MRSA, MRSA and Athletes, MRSA Carrier, MRSA Infection Control, MRSA Pictures, MRSA Prevention, MRSA Statistics, MRSA Survival Rate, MRSA Transmission, MRSA Treatment, Necrotizing Fasciitis, Pneumonia, Septicemia, Signs of MRSA Infection, Staph, Staph Infection, Staph MRSA, Staphylococcus aureus, Super Bug, Symptoms of MRSA Infection, Toxic Shock Syndrome, US Centers for Disease Control, Vancocin, Vancomycin, Vancomycin Resistant Staphylococcus aureus, VRSA, Washington Post, Waterless Sanitizer, Zyvox, Sanitizing, Restroom Hygiene, Ozone Sanitizing, Ozone Odor Control, Germs At The Gym, Germs On Wrestling Mats, Football gear, Football Helmets, Hockey Helmets, Hockey Gear, Enteroviruses, Enterovirus D68, Coxsackie.